The global idea was built on a new brand strategy, to change the paradigm of the relationship to food as one of the ways to emphasize customer’s individuality. The packaging became bold and personal appealing. Also product differentiation was made more clear and focused on brand’s signature dishes and branded products. 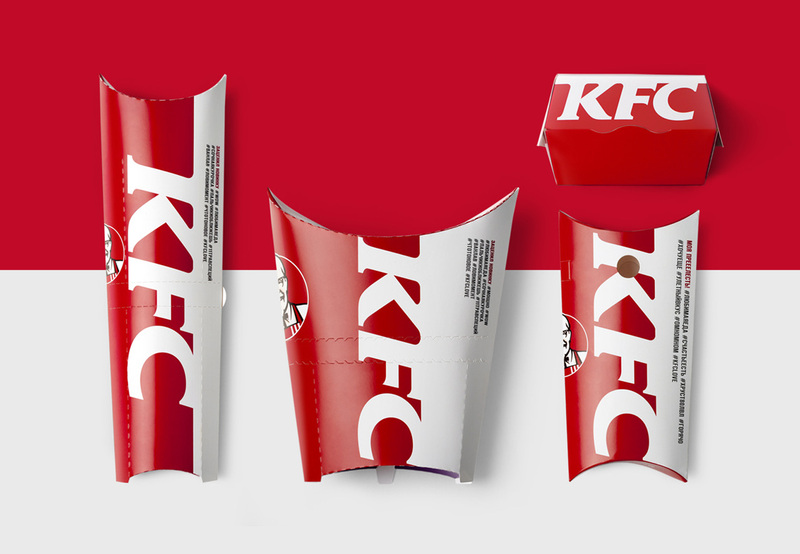 The changes affected all KFC brand’s carriers, including product packaging, advertising communications, menu-boards in restaurants, etc. More relevant messages that carry both communication and entertainment purposes have appeared. The food style was carefully updated. The color coding and navigation by product group have been reviewed. Also a logo and Colonel Sanders’s location on the packages have been changed. 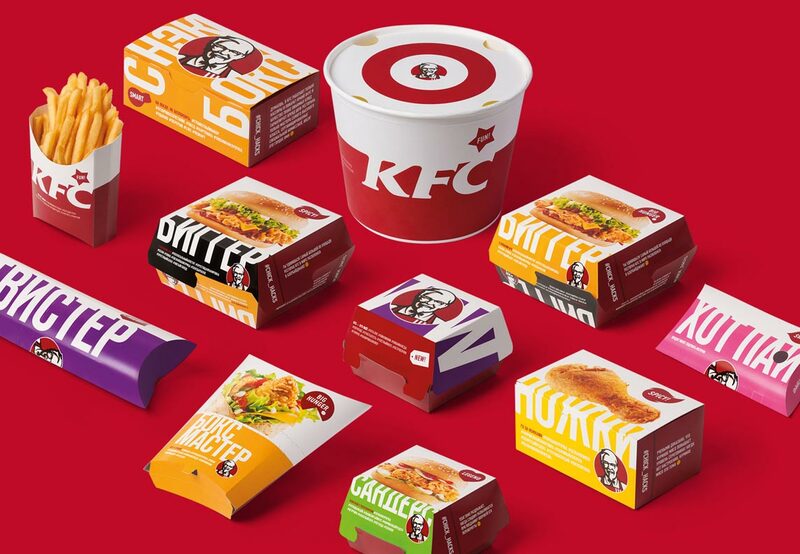 In general, the new packaging design enhances the perception of KFC brand by the same powerful block in the company colors on each package.